Jessaloup's Song explores teenage love amidst an impending natural calamity while celebrating the ties that bind all living creatures. In this adventure, Velmans turns the tables on a classic theme by portraying a young humpback whale who sets out to save the human race from certain disaster. Isabel, the young girl who had once lived amongst a pod of whales, is reunited with her friend Jessaloup, who this time is transformed from a whale into a human boy. The two face daunting challenges in convincing those living on land to seek protection from a destructive tsunami that is heading in their direction. To the delight of many young readers who despaired when Isabel and Jessaloup were separated at the end of the first story, Jessaloup's Song brings the two back together in a race against time. The spirit of adventure continues throughout a compelling and imaginative plot with a satisfying twist involving Isabel and her family, which reinforces the theme for all people be true to themselves and to one another. In writing these original children's adventures, Hester Velmans draws upon her experience in research and journalism. She was motivated to create a world where her own young daughter could overcome many of the frustrations felt by those in their early teens by magically becoming one of the most powerful creatures on earth. Velman's research for these novels brought her together with leading scientists, who by their own admission revealed that much has yet to be learned about marine life and about whale species in particular. These gaps in current scientific knowledge highlight a very real need to encourage budding young minds to bring new insights into the mysterious lives of marine mammals. The wonder of life in the ocean allows the writer to let her imagination roam free while weaving the natural world into a wonderful fantasy that is certain to captivate young minds. Hester Velmans is well known for her translations from Dutch into English of works by Renate Dorrestein, Lulu Wang, Isabel Hoving, and Jacqueline van Maarsen. Velmans was awarded the Vondel Prize for Translation for Renate Dorrestein's A Heart of Stone and her translation from French into English of Bernard du Bucheron's award-winning The Voyage of the Short Serpent has attracted great attention. Velmans' first sole creation, Isabel of the Whales, is a book written for children with the idea of empowering young girls and boys to influence the natural world. 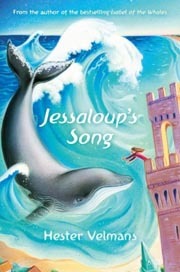 It is followed by Jessaloup's Song which reunites the two principal characters in a second ecological fantasy adventure. 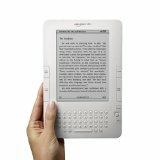 Try Audible Now and Get A Free Audiobook Download with a 14 Day Trial. Choose from over 100,000 Titles.